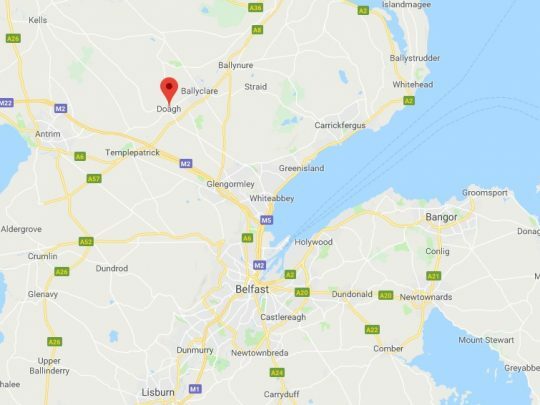 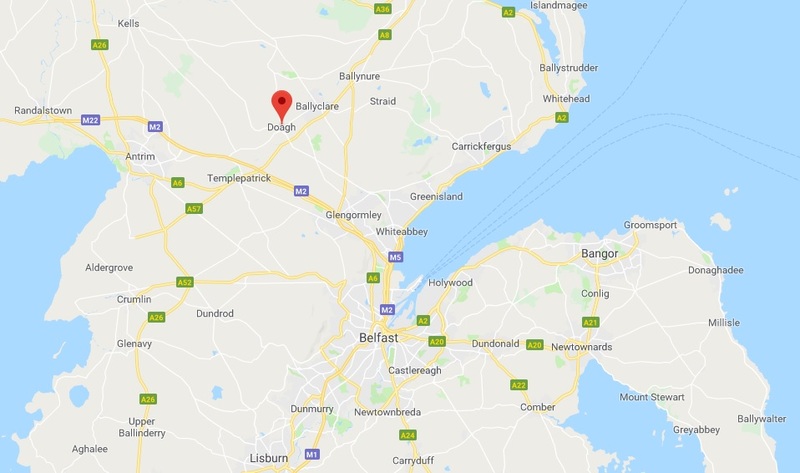 Doagh is a small village situated approximately 2 miles south – west of Ballyclare, 10 miles from Antrim and 15 miles from Belfast. 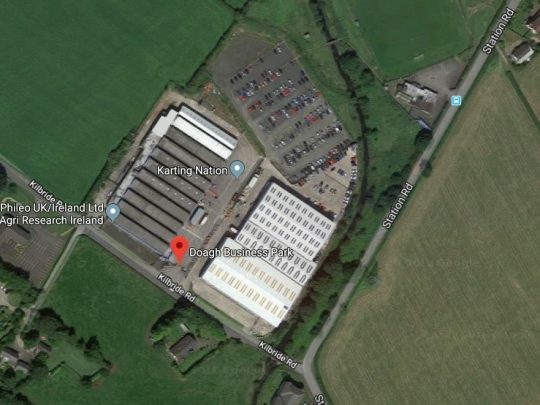 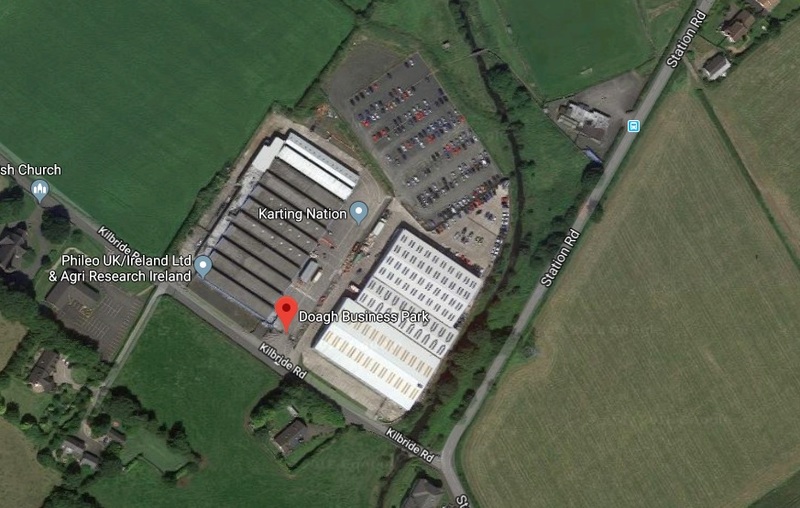 The Business Park benefits from easy access to all of Ireland given its close proximity to the M2 Motorway, along with a direct route to The Port in Larne. 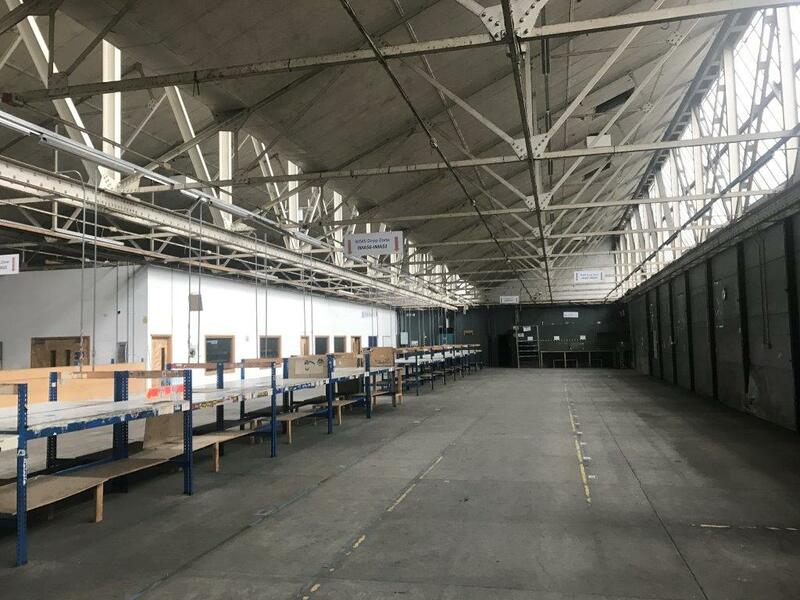 Unit 1 comprises a large warehouse of a steel portal frame, brick/block walls, concrete floor, roller shutter and dock leveller access. Internally there is 2,375 sq ft of office accommodation, WC’s and an intruder alarm. 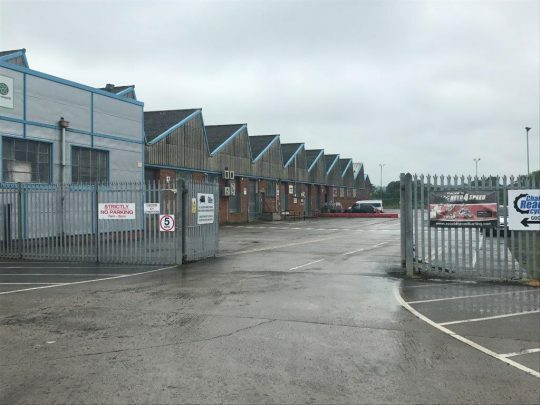 The unit benefits from a generous concrete surfaced marshalling area, dedicated parking all located within a secure site.